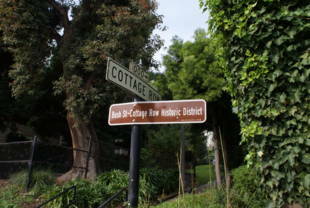 Located within the Cottage Row Historic District (member #82000983 of the National Register of Historic Places), Cottage Row Mini Park comprises primarily of a narrow brick walkway that stretches from Bush Street to Sutter Street, with a pair of lawn areas on the west side. 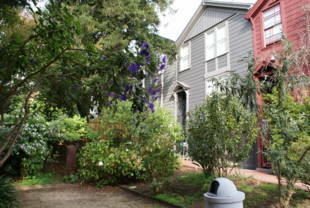 On the east side are historic Victorian homes that were built in the 1800s and are very well maintained. Off-leash dogs are permitted in the park. 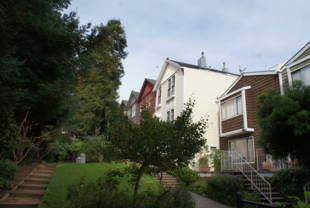 Cottage Row Mini Park is owned by the San Francisco Recreation and Park Department. Exit at Sutter and Fillmore, walk roughly 2/3 block east to Cottage Row. 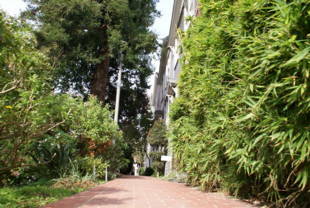 Sutter St. and Webster St.